Is it warm or it is just me? It’s rather warm outside today – so where are all the “zOMG!!!!1! Totally Global Warming”, stories? It has snowed. Thus I have proven that climate change is not happening. CONCLUSIVE PROOF OF GLOBAL WARMING!! However – it is rather warm today. 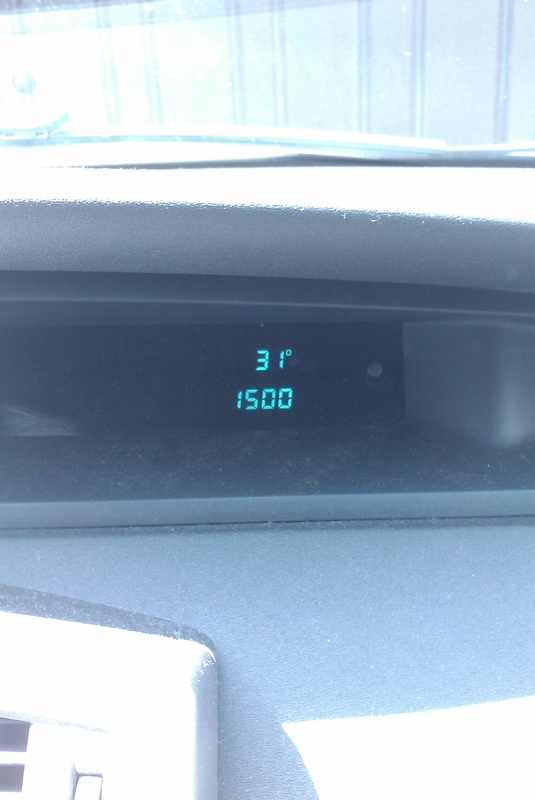 When I climbed into my car, the temperature was 31ºC (see pic) and it later climbed to 32ºC. There is a tree over my driveway which means that my car was mostly in the shade as well. Anyway, according to the BBC/Met office, the average maximum temperature for May in Birmingham (nearest big city), is only 16ºC. The highest temperature ever recorded in Brum in May is only 29ºC!! The not-in-my-car temperature in Birmingham today is apparently 25ºC – pretty close to the record May temperature. So the question I have is… where are all the articles in the tabloids proclaiming that the warm weather is proof of global warming? You are currently browsing the archives for the Climate Change category.